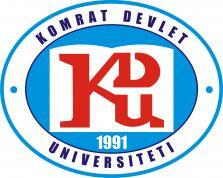 Comrat State University is a dynamic Higher Education institution founded in 1991. It consists of four Faculties, 17 Departments and seven Centres which provide training in 34 BSc, MSc, and PhD programmes. The university offers both full-time and part-time courses. The largest departments are the Department of Economics and the Department of Information Technologies, Mathematics and Physics. Official languages of instruction at CSU are Russian, Gagauz and Moldavian/Romanian. Language courses are available also in English, German, Bulgarian, Greek, French and Turkish languages. CSU is successfully implementing the Bologna process, contributing to the integration of the higher education of Moldova into the European Higher Education Area. CSU has been involved in many international projects including Tempus projects. CSU is strongly committed to the processes of internationalization and lifelong learning.